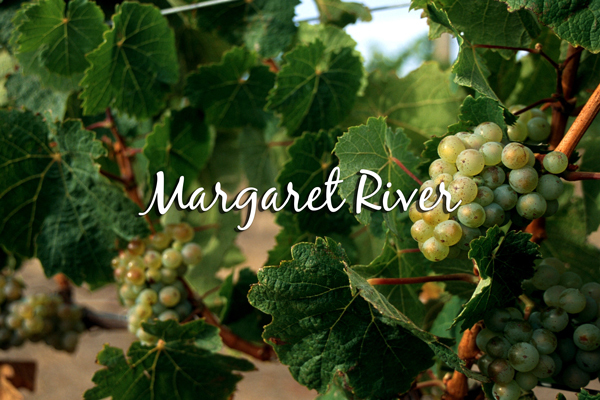 The Margaret River is a ‘Bordeaux’ style wine region that produces up to 20% of Australia’s premium harvest annually. Renowned for its unique tastes, the region is much sought after as a holiday destination, with food and winery tours on offer as well as the many great attractions in the nearby townships. Located in the southwest region of Western Australia, and home to many fascinating natural attractions and historical sights as well as wineries, it is a true gem for discovery and indulgence on your own self driven adventure. A campervan is an excellent way to see the area, allowing time to stop and take in all the great sights as well as getting off the beaten track to see the natural beauty of the region. Your journey begins in Perth, the capital of Western Australia and the gateway to the Margaret River wine region. 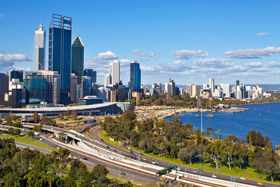 Perth is a cosmopolitan city with a mixture of local food culture, beachfront views and beautiful natural landscape that works its way around the Swan River as it moves south. Spend a day here taking in the sights, enjoying a coffee on the strip or checking out the ‘Freo’ markets at Fremantle – an easy 30 minute drive down the road. Leave Perth south via the southern highway and approach your first stop at the beautiful port town of Bunbury. Bunbury is home to the Ferguson Valley wine region and is renowned for collecting several awards for its produce over the years. This region is vibrant with life and colour and is just waiting to be explored. The various arts centers, food and wine tastings as well as the vineyards around the Tuart Forest are must sees, as well as Koombana Bay which is home to pods of bottlenose dolphins. If you’re intent on sampling all the produce of the area, the nearby town of Harvey will allow you a taste of its South West Cheese and other delectable harvests only a 20 minute drive from the center of Bunbury. Spend the night here in one of the many great campsite locations nearby. 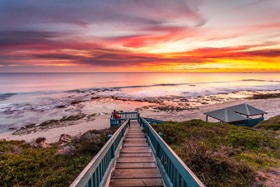 Leaving Bunbury early in the morning, make your way down the coastline of Geographe Bay and take in the sites as the Bussell Highway meets the sea and winds its way into the heart of the Margaret River Wine Country. On your way you will pass through the townships of Busselton and Dunsborough which both hold great historical value and surrounding attractions which can be taken in over a day or two. These seaside towns and are well worth exploring if you have the time to spare. For those with wine on the mind, the adventure continues forth along the highway until entering the Margaret River region proper. This is the proverbial food bowl of the wine and food tasting region and is home to more than 100 distinct wineries and vineyards, along with world class restaurants, breweries and boutique art installations/galleries which form together as a perfect mixture of culture and indulgence for you to enjoy. Pemberton is your next stop along the way and features some of the best natural attractions along with cool-climate wineries to keep you entertained as your journey continues. Pemberton is famous as an old milling town where timber production once boomed thanks to the surrounding Karri tree country which envelopes the area. Activities in the area include hiking, bush walking and climbing the towering Gloucester Tree (61 meters) which once served as a fire lookout station in the 40’s. Several canopy tours are available which give visitors an amazing perspective of the surrounding region from atop these ancient timber giants. When lunch (or dinner) rolls around, head to one of Pemberton’s wineries and sample the produce. The rich assortment of local flavours will have you begging for more, and be sure to try the marron if the season is right – Pemberton’s signature seafood dish. A short 30 minute drive south will lead you into the heart of Karri Tree country and the home of Western Australian Black Truffles – Manjimup. Manjimup is your final stop on the tour of the Margaret River Wine Region and as such it is worth taking in all you can of its colonial history, incredible wine produce and of course a bag or two of the famous black truffles to impress friends and families with exquisite dishes when you return home. There are various conservations and monuments to colonial life that can be seen here such as a steam museum, blacksmith forge and old milling factories which really bring the era to life before you. In addition, with more than 80% of the region preserved under national heritage due to the density of the Karri Tree population, outdoor adventures are abundant and well worth your time to explore if time permits. Indulge in the local produce and fantastic natural scenery before starting you return journey to Perth.